I am working with Fisher to share recipes using Fisher Nuts. However, my opinions are entirely my own and I have not been paid to publish positive comments. Over the past year, I’ve grown more comfortable cooking with nuts. I often add them to a dish for an extra kick of flavour and texture. One thing about nuts is that they are so versatile and can go into practically any dish you make! For example, the perfect side dish is some garden fresh green beans blanched and served with melted butter and whatever nuts you’ve got on hand. My personal favourites with that particular dish are slivered almonds. 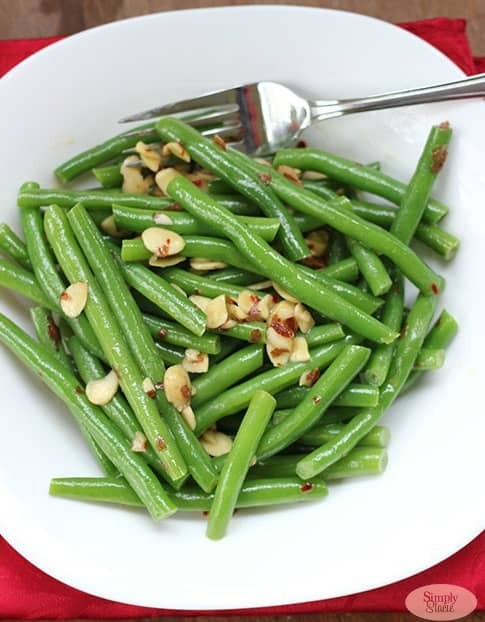 Like this Green Beans Almondine I made using Fisher Nuts Slivered Almonds. 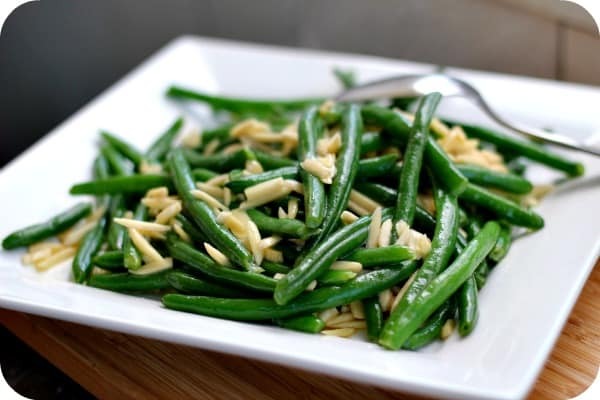 These Chili Buttered Green Beans & Almonds were made with Fisher Nuts Sliced Almonds. 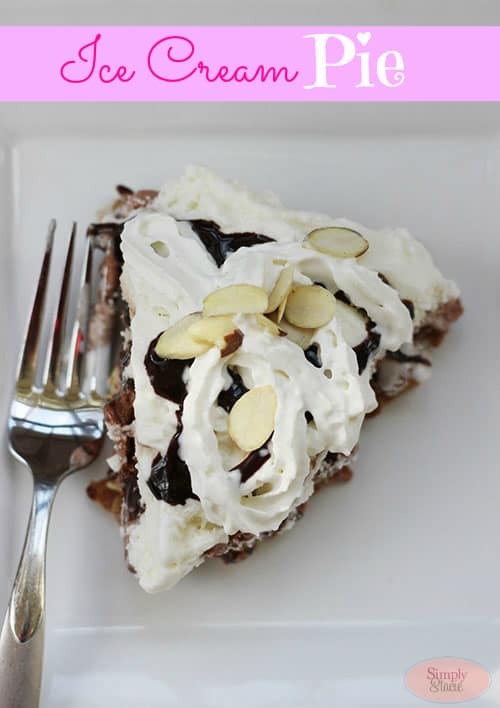 I also made a delicious Ice Cream Pie with a crust made from waffle cones and Fisher Nuts Sliced Almonds. As you can see it’s so easy to cook with nuts. Fisher Nuts has some fabulous summer recipes that I’m looking forward to trying. They include Lemon Blueberry Loaf, Walnut & Blueberry French Toast Bake and Butter Pecan Ice Cream. 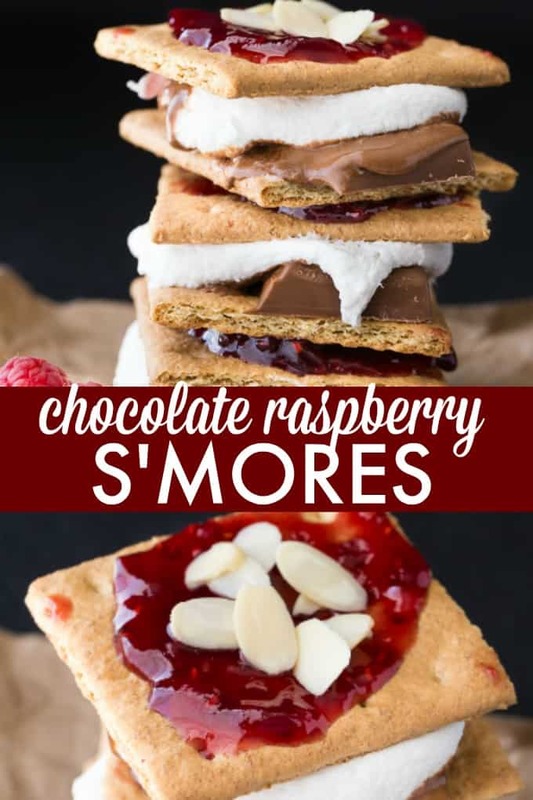 Most recently I made their recipe for Chocolate Raspberry S’mores which is symbolic of summer. It’s got an extra zing of flavour with the inclusion of Fisher Nuts Sliced Almonds and Raspberry Jam. They can be made in about 5 minutes from start to finish and cooked in the microwave. No bonfire required! They are so decadent. Try to just eat one…it’s impossible! Spread 1/2 tsp raspberry jam onto 4 of the graham squares. Top each with about 1 tsp. almond slices, set aside. Top remaining squares with 1/4 chocolate bar and marshmallow. Microwave on high for 30 seconds. Cover each marshmallow with a reserved graham square, almond side up. Serve warm. Thanks for the post and the recipe’s. Can’t wait to try some of these! 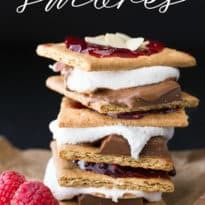 Especially the Smores! Stacie, what a nice change for Smores. They look fabulous. Thank you for sharing on Tasty Tuesdays link party. Pinned and Shared. visiting from Wined Down Wednesday. Just pinned it! Yum! Oh my goodness!! Looks like I’ll be needing raspberry jam at my next bonfire! 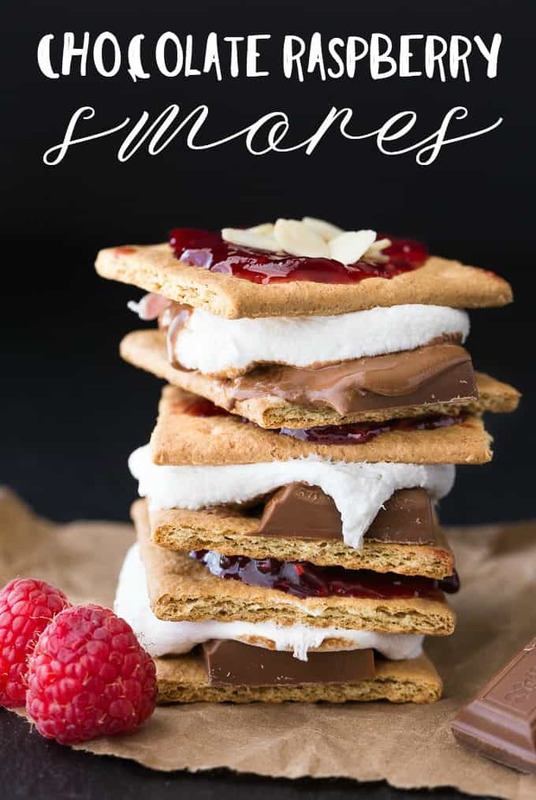 I don’t think I have ever seen a more beautiful or delicious s’more, Stacie! Thank you so much for sharing at Project Inspired.